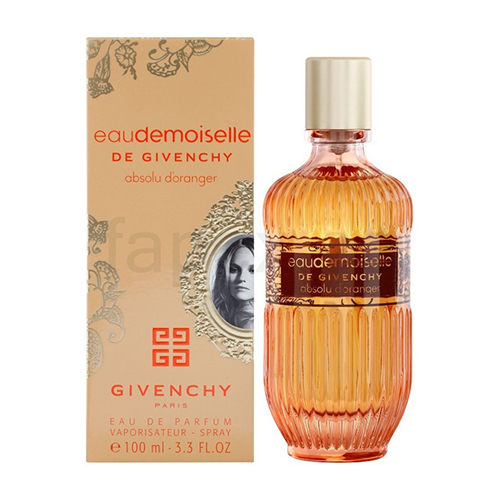 Eaudemoiselle De Givenchy Absolu DÕOranger is announced as a luxurious and sophisticated fragrance, it is created specifically for the Orient with intense floral accords of orange and rose. It opens with orange blossom, transparent jasmine and velvet rose. The heart includes warm accords of rice, incense and precious woods, laid on the base of Tonka bean and vanilla.